Dress to fit your mood wearing the Rebecca Taylor™ Long Sleeve Snake Clip Top. Sensual V-neckline with ruffle smock neck. Long sleeves with adjustable ties at each cuff. Materials: 93% silk, 7% metallic. 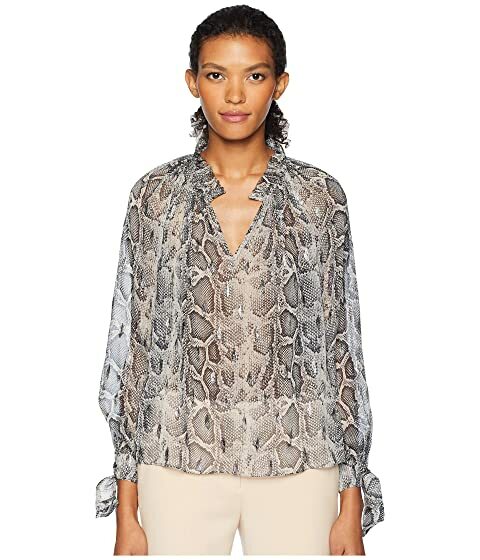 We can't currently find any similar items for the Long Sleeve Snake Clip Top by Rebecca Taylor. Sorry! Fit was great and the style is sheer yet super stylish. Perfect blouse for going out.